We are back and certainly no time has been wasted welcoming the first year class with a big bang as they start their second semester. 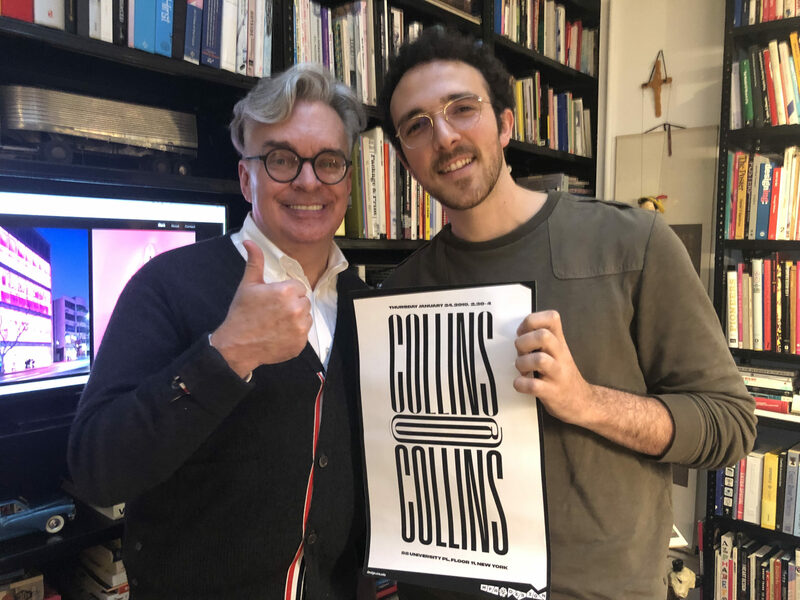 Kicking off our first guest lecture series of the year, we visited COLLINS, a design and brand firm in New York City, to meet with (MFAD faculty member) Brian Collins, Chief Creative Officer. All eyes were transfixed onto him from the moment he walked into the room, till the moment he left. No one wanted to miss a single moment. Brian started us off with an exercise – name five positive things about you. The class was eager to share with him what they put down on their pieces of paper. Afterwards, he asked them to put the antonyms of those qualities listed down, on the back of the same piece of paper. The negative qualities. Brian asked each student if they were in fact those negative things (selfish, impatient, etc.) that they listed. “No,” was the answer. 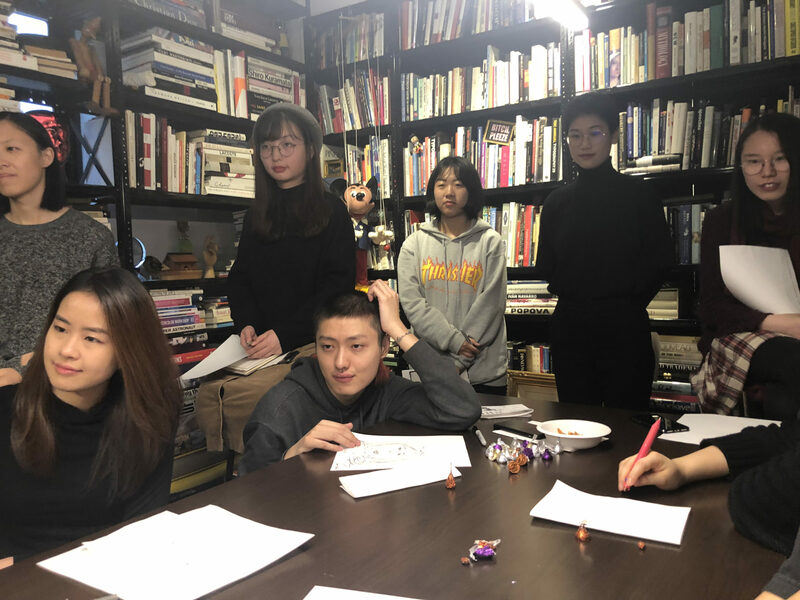 He argued that students are both, the positive and negative qualities. There is a Voldemort in all of us. Positive things are important but you can not ignore the negative things – you need both. You have to be selfish, at times, you need to be impatient once in a while. And that is okay. 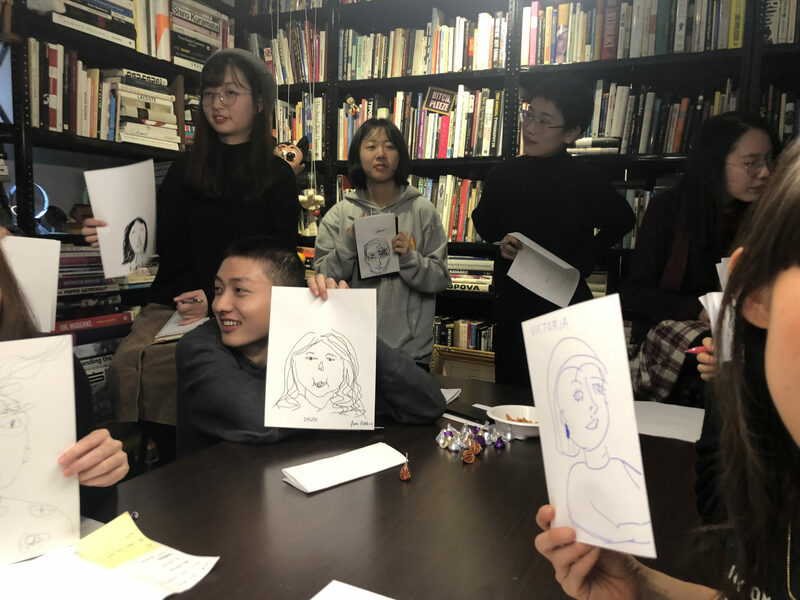 Before he described his own work, Brian asked us all to draw a portrait of the classmate sitting next to us, upside down and with our non-dominant hand. 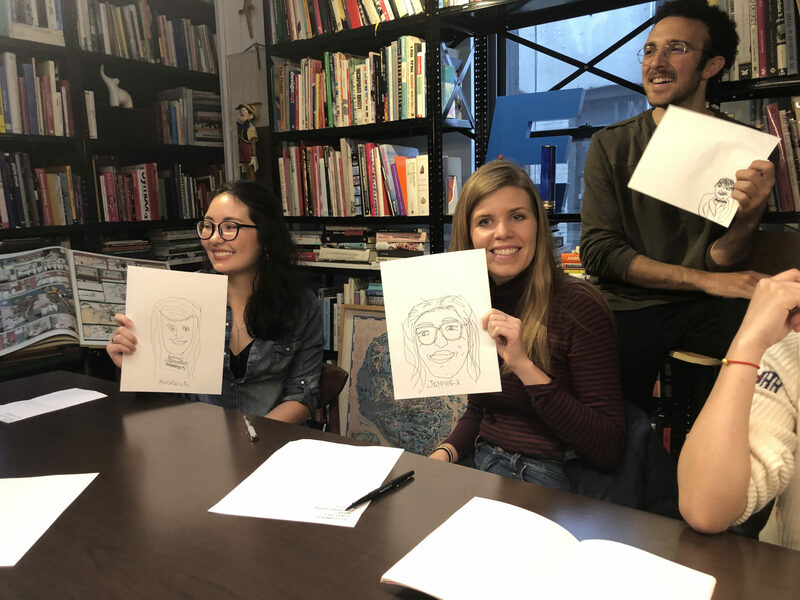 The results were humorous but it kicked us off to the first out of five principles he lives by as a designer that Brian graciously shared with the students. All ideas are bad ideas because ideas are easy, what makes them good is craft. Stop looking around over your shoulder. Look to the past and the future. The key to communicating is to listen to what isn’t being said. No one has the answers. Make them up. 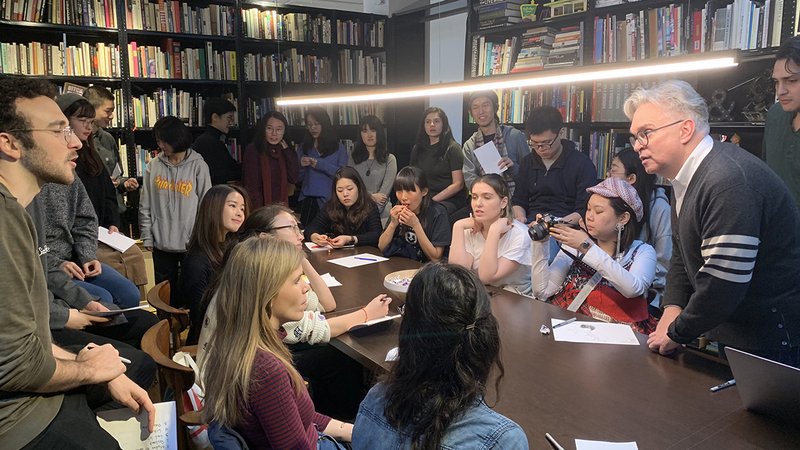 As the first years students returned to the studio, a slight difference was seen in each of them. Brian left us with a fire that was not going to go out anytime soon. A fire to be more curious, more determined and to embrace the positive & negative in all of them.